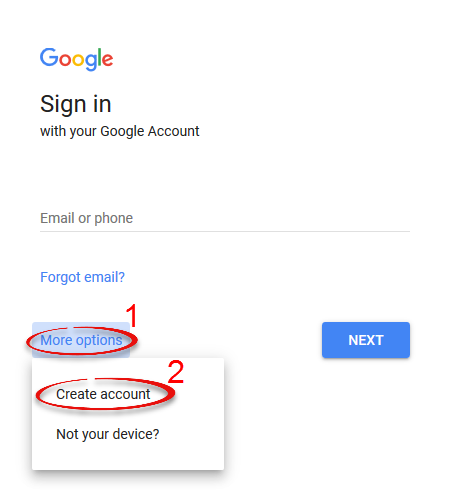 How to create a Google Docs account. 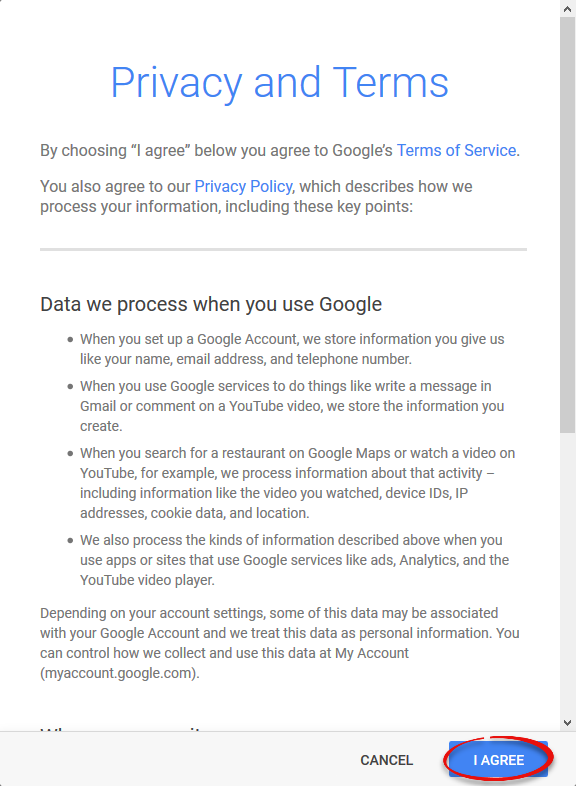 If you have a Gmail account or an account with any other Google service, such as YouTube, you will already have a Google Docs account. Step 1:Go to www.google.com.Step 2:Click the Sign In button. 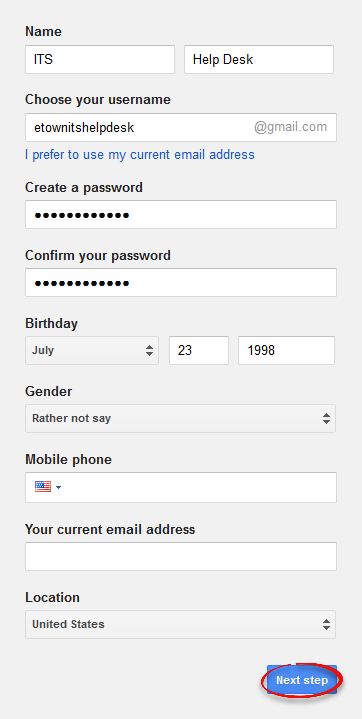 Step 3:Click More options, then Create account. Step 4:Enter the required information. Creating a username will automatically set up a Gmail account for you. Entering your phone number is optional, however this will help you retrieve your password if you forget it. Click Next step. Step 5:Read through the Privacy and Terms and click I Agree. Step 6:Click Continue to begin further setting up your account.